There are a lot of questions about MDS-00013 after refactoring DataControl.dcx file - renaming or moving to other locations. 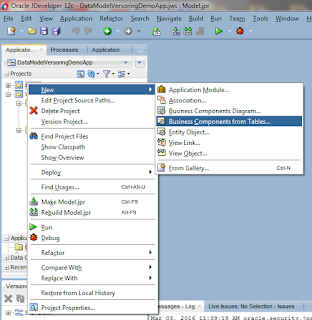 As a starting point I have got ViewController project with one page and custom Model project with sample POJO Data Control. 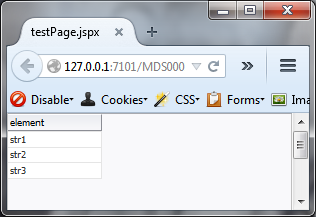 A page is using specified DC by presenting collection as a read-only table. and the solution is not so obvious. The key to fix the issue is to understand the ADF descriptors. The files that are in the background, contain a lot of magic inside and nobody likes to mix with them too often. I'll revert the value of id attribute of AdapterDataControl node to avoid changes in other layers. 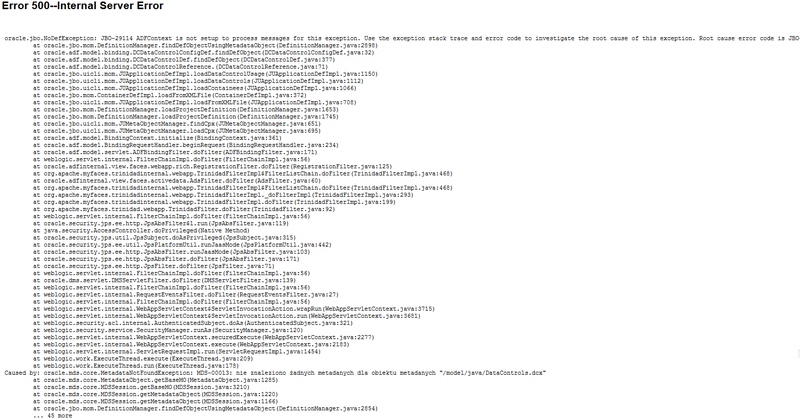 But even so the result of running the page is the same - MDS-00013 exception is thrown. So what else needs to be checked? 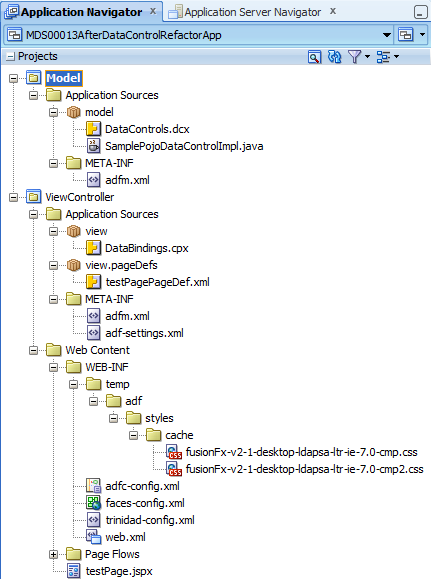 There is CPX file which maches pages or task flow steps with their definitions (pageDefs). 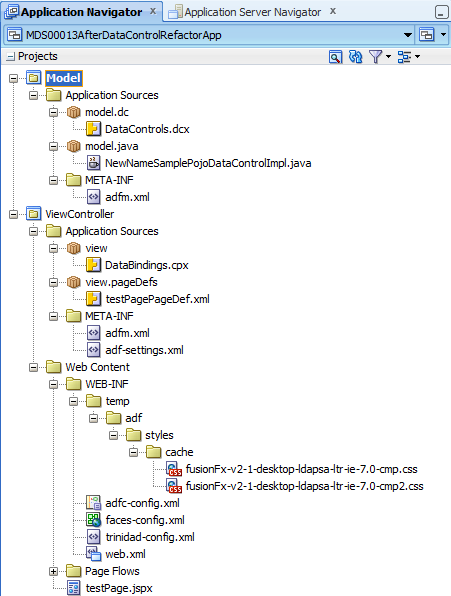 It also tells to the ADF framework which data controls are used in the projects and where are they located. Please run it one more time and... now it works as it should be!